This will be a dry run to test antennas, power supplies, and sustainability in temperatures as high as 115 degrees. 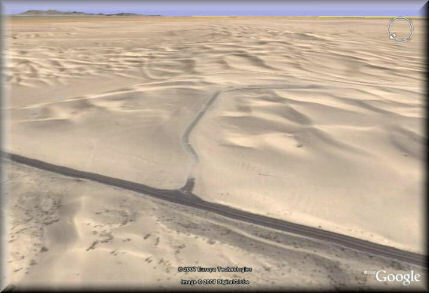 Just published 7/22/07 - see the Burning Sands field test! 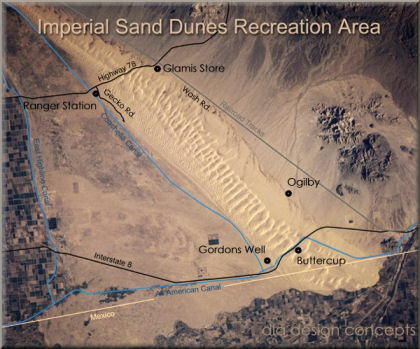 The Imperial Sand Dunes are the largest sand dunes open to off-highway vehicle use in the United States. 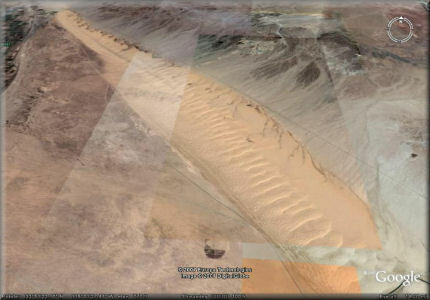 The dunes begin 10 miles southeast of Niland and stretch all the way into Mexico, over 40 miles away. The Dunes vary in width from about a quarter mile at the top end of the Mammoth Wash area, to about 5 miles in width below Highway 78. 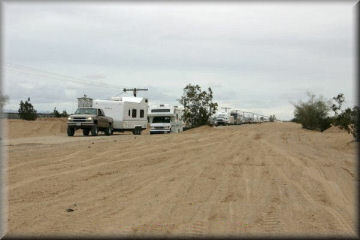 The Algodones Sand Dune system covers 1,000 square miles, making it one of the largest dune complexes in North America. There is over 150,000 acres designated as open or having limited use and about 32,000 acres are designated Wilderness (North Algodones Dunes Wilderness Area) and closed to OHVs (mostly north of Hwy. 78). Although visited year round, during the summer months you need to be prepared for temperatures consistently exceeding 100° and reaching 120° on occasion. 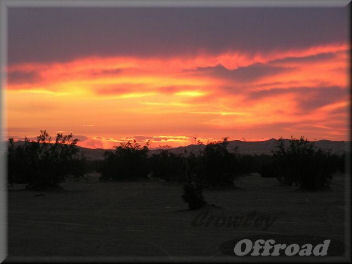 However, like most of the California desert, the humidity is low and the nights cool down considerably. Since the annual rain fall is less than 2", the only winter hazard is blowing sand. Winter temperatures are typically in the 60-70° range. 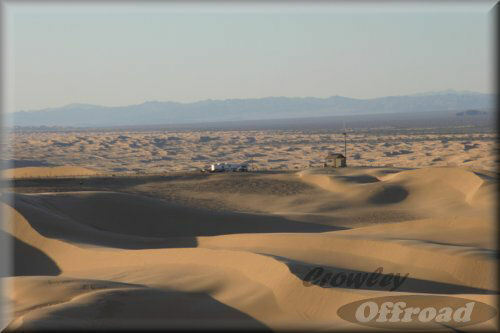 Glamis is considered the northern part of the OHV area at the Imperial Sand Dunes. The south part, near Interstate-8 includes Gordon's Well, Buttercup and Ogilby. Busiest weekends are (people): Thanksgiving (160,000), New Years, President's, Halloween, Martin Luther King and Easter (35,000) - 2004 numbers.